The first time I learned about the Kinderkunsthaus was when I was still living in the United States. I remember that I was mindlessly browsing through my Instagram feed when I saw this: a photo of kids and parents crafting together at tables covered in paper, paint bottles, scissors and glue. „Where is this place?“ I thought. And got even more excited when I found out that it’s located in Munich. This art studio looked like the perfect place for my daughter who loves nothing more than messing around with glitter and glue, stamps and stickers, paint and crayons. 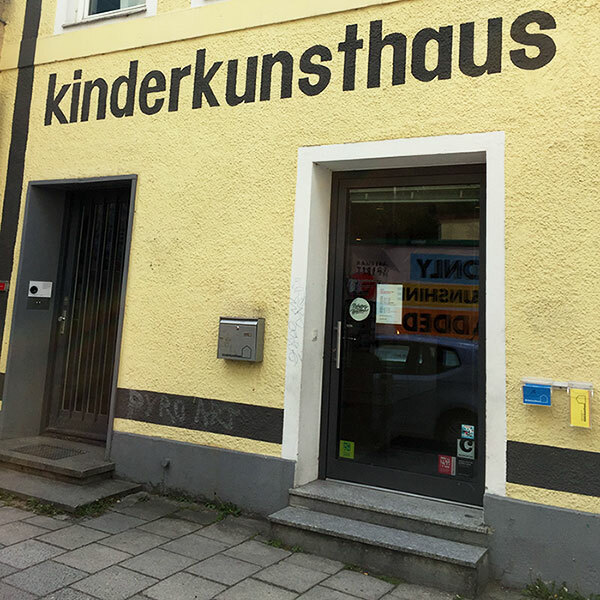 Little did I know at that time that the Kinderkunsthaus would become much more than that: a place that also feeds MY creativity, ignites and nurtures MY curiosity, and connects ME to the creative world. It wasn’t until January 2017 that I finally set foot in the Kinderkunsthaus. The occasion? A blogger event for Munich mom bloggers, organized by Dominika from the blog From Munich with Love. 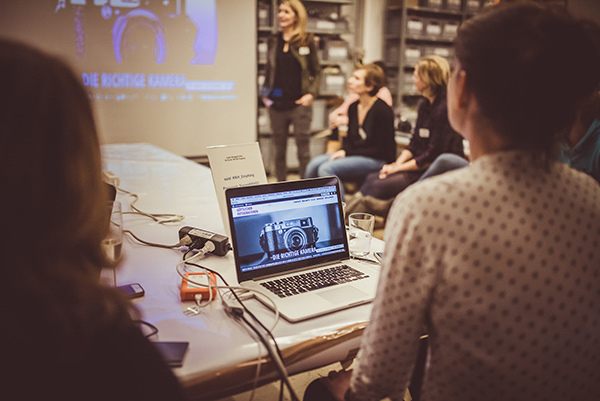 The speaker Anette, a photographer and blogger at göttlicher fotografieren, shared her knowledge about photography, the perfect camera, and Lightroom with the local mom blogger crowd. 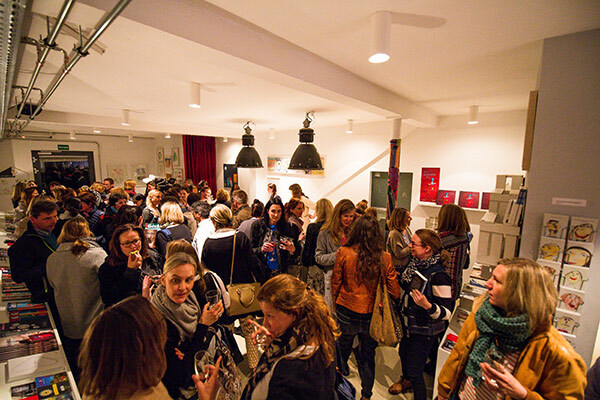 All photos of the blogger event were taken by Anette Göttlicher. That night I left with a leaflet about a talk series named „Werkstattgespräche / Studio Discussions“ and a brain that was working hard processing new thoughts and ideas. Thank goodness for the long car ride home. Move forward to the last Monday in March and I was back again at the Kinderkunsthaus for the first installment of the Studio Discussions series. The speaker? Positive Psychology professor Prof. Dr. Brohm-Badry. The topic? „Don’t stop me now. Wie wir Kinder leistungsstark, charakterfest und glücklich machen“ (loosely translated as “How we can strengthen and support our kids‘ abilities and personalities, and how we can make them happy“). All photos of the Studio Discussion were taken by Yves Krier. Be curious and open. Learn about the knowledge of the world. Whatever you do, do it with a focus. Enforce positive emotions. Take your kids’ dreams and wishes seriously. Don’t be a dream killer. Have clear values. Be courageous, fair, and human. Erase the word MUST from your vocabulary. 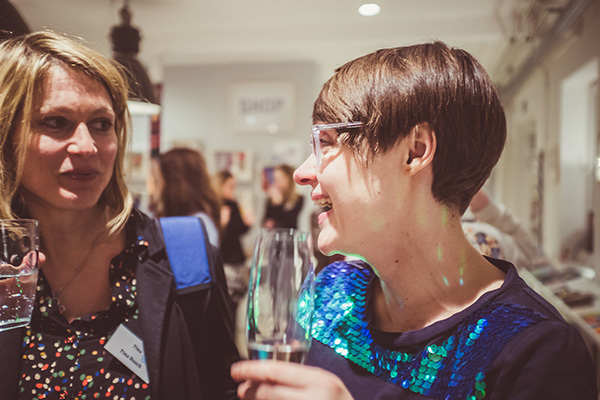 Be enthusiastic, especially when you talk about your work. Focus on progress, and motivation follows along automatically. Because everything that we consciously experience has the tendency to intensify. Everything that we ignore will become weaker and less important. 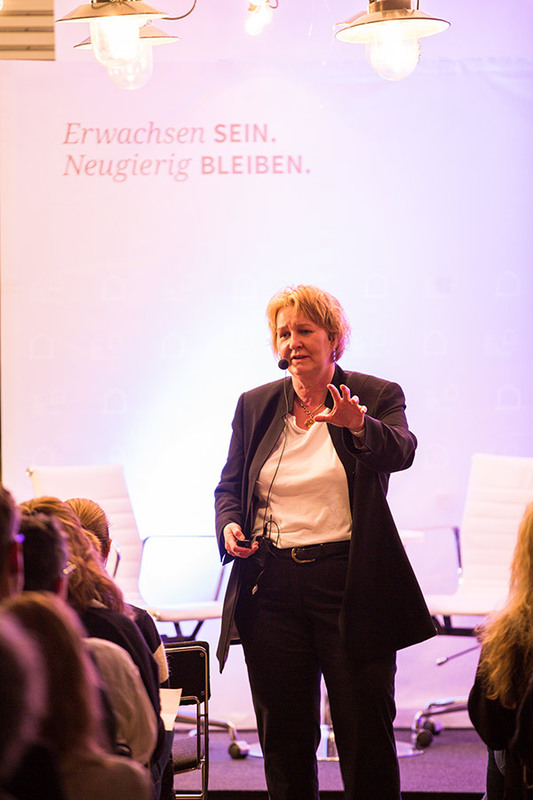 If you are now as fascinated as I am about the field of Positive Psychology and Prof. Dr. Brohm-Badry’s research, you can check out her weekly Wirtschaftswoche column, her contributions to the Spektrum der Wissenschaft blog or read one of her many books available on Amazon. This evening has changed me in many ways because so many aspects of the talk resonated with me. When Prof. Brohm-Badry warned us to not turn into the person who kills their kids’ dreams, guilt crept over me. What had I done? My daughter had been talking about horses and riding lessons for weeks and weeks, but I had never really listened to what she was saying. Horses and I? We never had a connection. So I ignored her requests, promised her to talk about it later while secretly hoping that the „horse phase“ would be over soon. Oh how I now felt like I made the biggest parenting mistake ever! But it was not too late! A couple of days later we visited a horse-riding center, I asked around for used riding gear. And today she is taking her first riding lesson! 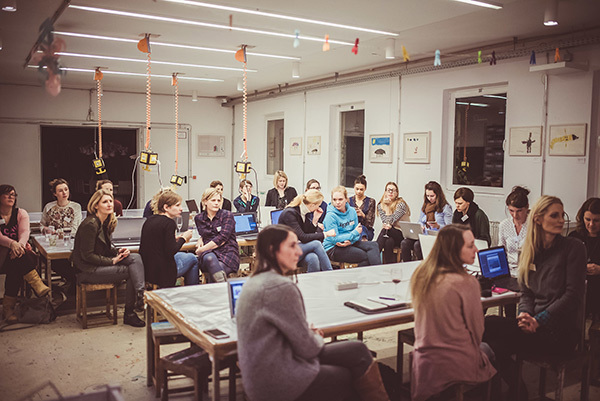 The next Studio Discussion at the Kinderkunsthaus is on Monday, July 10th. The speaker is Dr. Jan-Uwe Rogge, a well-known family coach and one of the most successful authors of parenting books in Germany. The topic? „Kids need values„. Here you can already order your tickets. Let me know if you’ll be there – I would love to meet you! And don’t be a dream killer! This entry was posted in Reisen and tagged Creativity, Germany.